Brit Richard Noble this past week celebrated the 30th anniversary of his world land-speed record of 1 019,47 km/h which he set on 4 October 1983. Richard is head of the Bloodhound SSC project that will attempt to set a new world land-speed record of 1 600 km/h in the Northern Cape in 2015/2016. 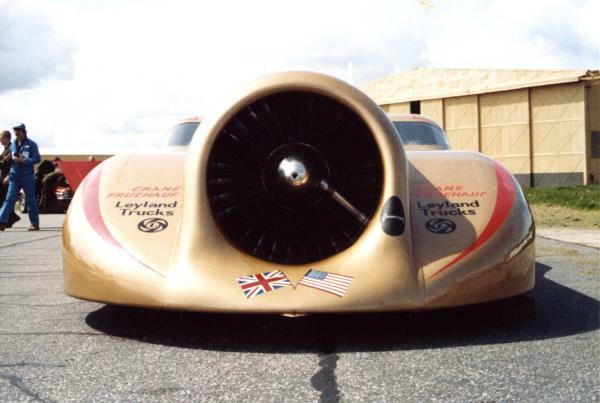 As opposed to the first word land-speed record, swiftness isn’t the only goal of the Bloodhound project. It also hopes to inspire kids in Britain and South Africa to pursue careers in the sciences and engineering. To find out how your school can get involved, click here.